Say goodbye to copying and pasting -- there’s a new way to move data. Now, with just a couple clicks, you can create hundreds of docs, instantly. Smartsheet Merge allows you to quickly create Google documents in seconds with information stored in Smartsheet. You can use Smartsheet to collect and track lists, names, addresses, and other information, then use Merge to automatically push that data into a custom Google Doc template. Smartsheet Merge quickly creates personalized invoices, form letters, or envelopes, saving you hours in administrative work. You can seamlessly combine multiple documents into one for easy printing or create docs and PDFs to share directly via email. There are also endless possibilities for out-of-the-box uses, like making bid sheets for auction items. Members of a choir are required to pay dues to the venue each year. A sheet in Smartsheet keeps track of all the members and the amount they owe (each row contains the member name, amount due, and due date). With Merge, invoices can be created directly from data in the sheet -- each row becomes a personalized invoice. If you’re part of a club or sports team, you too can have a central location for all financial information. Keep track of how much money each person owes, and merge the data into an invoice template that’s ready to use. 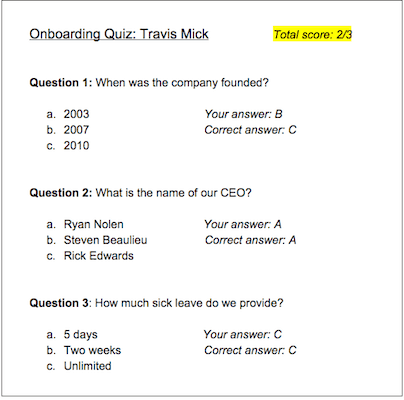 Measure the effectiveness of your employee onboarding program by creating a quiz for new hires. Make a web form to distribute the quiz to employees, asking simple questions to test company knowledge (you could quiz employees on PTO policies, the leadership team, or your product/service). Once all new employees have completed the quiz, the sheet owner merges the quiz entries from the sheet into a Google Document that contains the correct answers. Now, the merged document acts as a personalized scorecard for each new hire. Get a head start on filing work orders from employees. 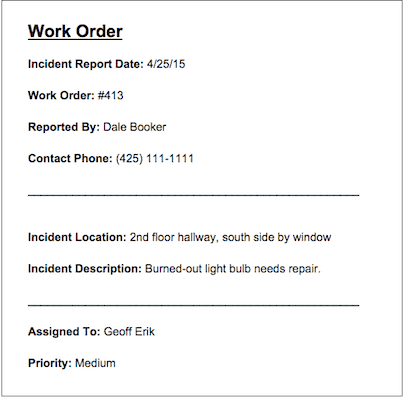 When employees notice something that poses a safety hazard, they submit a web form to report the incident. Each incident report gets added as a new row in Smartsheet. To easily create work orders for the factory floor engineers, the sheet owner simply uses Merge to create a work order for each incident report in the sheet. Smartsheet Merge gives you the power to turn your data into anything. 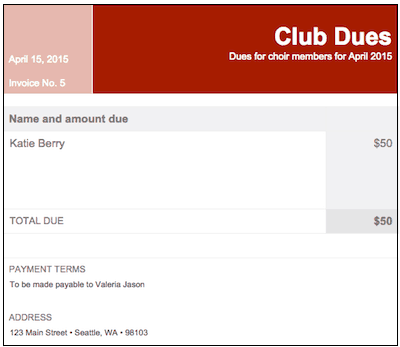 From envelopes to personalized scorecards, you can create customized docs in seconds. No more control-C.